This is a page I created for keeping OpenDocument templates for use with OpenOffice Writer, Impress and Calc (oowriter, ooimpress and oocalc). 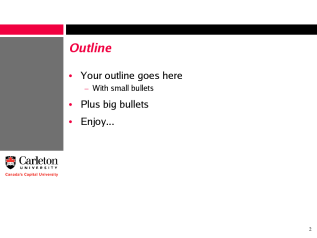 If you've never heard of these things before, they are free office products for producing text documents, presentations, and spreadsheets, respectively. They are comparable to Microsoft Word, Powerpoint, and Excel except that they are free and they work on many different computing platforms. If you came here looking for templates for Microsoft products they're available from the University Communications website. Most of the templaes on this page are derived from those. This is an OpenOffice Writer template with the Carleton letterhead on it, suitable for writing reference letters and such. 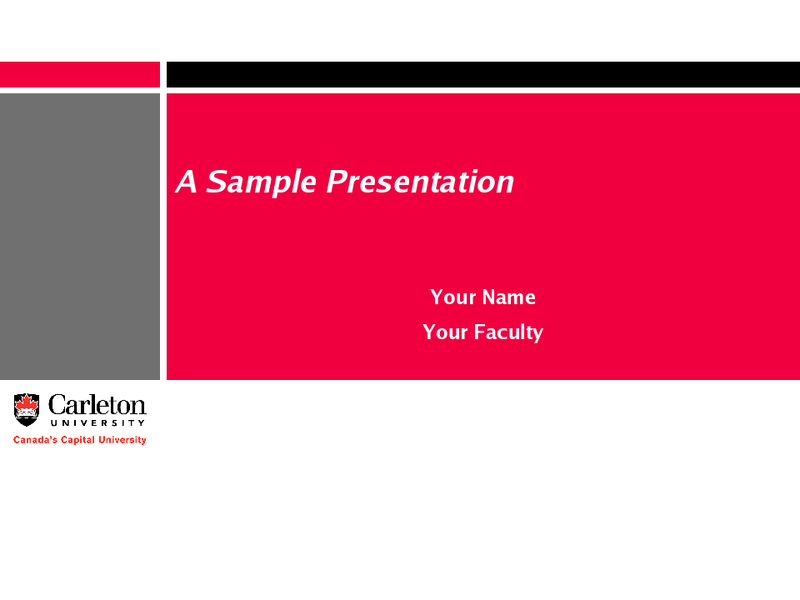 This is an OpenOffice Impress template sporting the Carleton colours and using the Luxi Sans font to make a nice readable document.